Mt. Manaslu (8163 m) is the 8th highest peak in the world and is a well-loved and most delightful trekking route, providing with pristine mountain views, rich culture and genuine adventure sum up the trek experience. 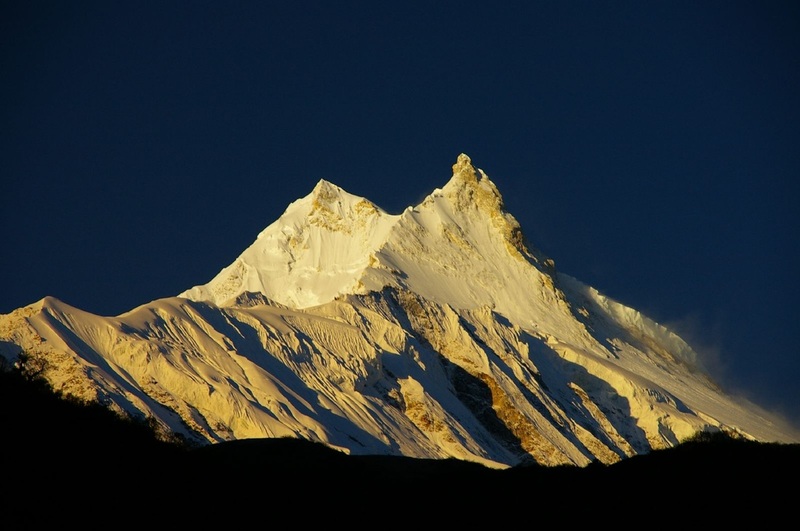 The name Manaslu means "The Spirit-Mountain" in the local tongue, referring to the benevolent and strong deity. This region of Nepal sees few trekkers, which makes a visit here more exclusive and unspoiled. Manaslu trekking has been open since 1991; it provides spectacular beauty along the border of Nepal and Tibet. Mt. Manaslu is located east of the Annapurna range. We can extend this trek with Tsun Valley trek. Manaslu's incomparable beauty and rich blend of Tibetan and Nepalese culture offer a true adventure for visitors to Nepal. Here you will find the mountains and valleys covered with diverse and pristine ecosystems. Fantastic Mountain views, rich culture. Manaslu Larkya La Pass Circuit part of trekking area is known as part of really Nepalese life style and their way of living. 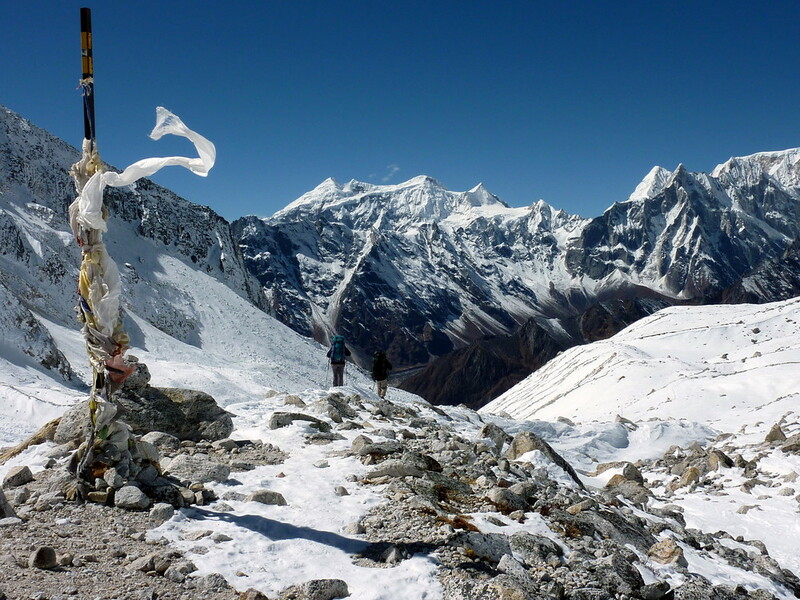 Manaslu Larkya La Pass Trek becomes attraction these days for the trekkers. Many trekkers would like to trek this part. These days, tea house has been building. You can do camping trek as well as tea house trek. If you do tea house trekking, there is simple accommodation and foods are Nepalese dishes. The Manaslu Larkya La Pass Circuit Trek offers a perfect combination of rich culture heritage, unsurpassed Himalayan beauty, and a rich mountain biological diversity. Manaslu Larkya La pass Circuit trekking is adventure trek and requires a good experience of trekking and a good physical condition. The trek ascends follow Buri Gandaki River to Larkya La Pass 5135m with attractive views of Himalchuli (7893m. ), Manaslu 8163m, Ganesh Himal, Ngadi Chuli (7879m) or (peak 29) and other mountains, beautiful varied landscape and different flora and fauna. Attraction of the trek : Buddhist Monastry situated on the way,Aarughat / Ghap / Samdo / Lho / Dharamashala / Larkya La pass (5213m), and the sunrise over those mountain ranges. Culture : Tibetan culture,Bon and Hindu culture . We take an 8-9 hrs bus ride to Arughat Bazaar in Gorkha district. The village of Arughat is in two parts, on opposite sides of the Budhi Gandaki; Arughat Bazaar is clean and prosperous with hotels and shops selling cloth, food and hardware. Trek route head to northwards following the Budi Gandaki River passing through terraced fields and scattered farmhouses. After climbing briefly to Keurenipani, we descend once again to the river and pass Soti Khola. Our camp is few villages further along at Liding after passing through a forest with several troops of monkeys. Today, the valley narrows and in places the path is cut into the densely forested valley side. We pass a number of small villages until the valley widens and the trail descends to the sandy riverbed. The trail climbs to Machha Khola and then on to our camp at Khorlabesi. At Tatopani there is hot spring where the porters will no doubt take the opportunity to have a quick wash. After Tatopani the trail crosses to the left bank of the Budi Gandaki over a suspension bridge. Through the forest we reach the village of Doban where we can watch the Budi Gandaki descends an impressive series of rapids and further up the river valley opens up. The camp for tonight is in the village of Salleri an hour or so beyond Jagat. After village of Sirdibas we cross the Budi Gandaki on a large suspension bridge and climb steeply to Philim. The trail traverses the hillside and passes Ekle Bhatti (lonely tea house) before crossing back over the river below the confluence of Budi Gandaki and Siyar Khola. From here we enter a dramatic section of the gorge high above the river. The trail makes its way up the west side of the valley and offers a pleasant walk through bamboo forests to the village of Deng. Today, the trek will be shorter day than other day we enter the area influenced by Buddhism. After a few more ups and downs through forests, the trail turns a corner and arrives at Ghap through well preserved paintings and elegant Mani wall. From Lho, we follow the right bank of the river with views of Peak 29 ahead. A couple of hours climbing through the forest bring us to the village of Shyala, offering superb views of Phungi, Manaslu and Him Chuli. Crossing a wide pasture with many marmots we enter the village of Samagaon. Our camp is at the top end of the village below the impressive Sama Gompa with impressive views of Manaslu. The nearby monastery is well worth a visit, as is the village of Samagaun. This is a great day exploring the areas and with a great views around. Follow the Budi Gandaki northwards to a bridge over a side stream where the trail forks; the left leading towards the Manaslu Base Camp, the other passing several Mani walls heads for the Larkya La. The valley widens along an easy trail past juniper and birch forest to the stone huts at Kermo Kharka, and then drops off a shelf to cross a wooden bridge and climbing between forks in the river to a promontory. We can see one amazing white stone \Kani marking the entrance to Samdo. Today we start the ascent to the pass by downhill through fields to an old Mani wall and stone arch before dropping to the river and crossing on a wooden bridge. This place shows up on maps as the mythical Larka Bazaar, which used to be a flourishing market. Another Mani wall marks the beginning of ascent to the pass where the trail starts climbing through tundra and juniper; the huge Larkya Glacier coming from Manaslu can be seen from here. After an early start, we soon reach the ablation valley on the left side of the Larkya Glacier with impressive views of Cho Danda and Larkya Peak. We continue walking along glacial moraine and start making the gradual ascent to the summit of the Larkya pass. From the top, there is a panorama view of Himlung Himal, Cheo Himal, Kang Guru and Annapurna II. On the descent the trail follows the top of the moraine to the west and makes a set of steep, rough switchbacks as it crosses the moraine then descends more gently on snow to a grassy moraine. The valley becomes wider as the trails heads down to a large meadow, past a Mani wall and a small rest house that marks Bimthang. Exit the village through a stone arch, cross the Dudh Khola and follow along its embankment descending through scrub forest. The walls of the Marsyangdi Valley loom larger and finally the houses of Dharapani appear in the distance. Pass through Thonje via a wooden bridge and through a shorten-shaped arch and Dharapani lies across a long suspension bridge over the Marsyangdi. The trail now follows the Annapurna Circuit route in reverse as you pass through the steepest part of the Marsyangdi gorge. We will transfer to airport and take a flight to home.